Home access basic needs Black women mass incarceration mental health prison prison industrial complex Who’s Left Behind in the Fight Against Mass Incarceration? Who’s Left Behind in the Fight Against Mass Incarceration? Nine years after the California Department of Corrections lost control of their health care system to a federal oversight body due to inhumane conditions caused by overcrowding, moves to reduce the prison population and regain control of prison healthcare are not impacting women’s prisons in the same way that they are men’s prisons. The “cruel and unusual punishment” of the system that illegally sterilized people in women’s prisons continues to cause significant pain and suffering for people behind these walls. Substandard living conditions are made worse by measures to address overcrowding that do not return people in women’s prisons to their communities. Justice Now surveyed people at Central California Women's Facility and California Institution for Women, the two women’s prisons in California, regarding the effects of the grotesque levels of overcrowding they were faced with. Surveys, with names removed, from both 2014 and 2015 indicate that overcrowding in California's women's prisons has exacerbated longstanding issues, making already inhumane living conditions even worse. More than half of those surveyed described experiencing some level of difficulty accessing healthcare. Many people also report reduced access to things like educational classes and self-help groups. Hakim Anderson, serving a 15-life sentence at Central California Women's Facility noted, “the waiting list [for educational and vocational programs] could be 2 to 3 years long, and these are things that we [lifers] are required to take.” They added that the college waiting list is worse, saying, “there's like 400 or 500 people on the list and that [wait] can be close to three years.” Hakim said that the waiting list is so long that they might get a date for parole before getting into college classes again. Historically, this has not been a resource issue, but rather a way to continue to dehumanize people. Forcing people in prisons to justify their need for pads and tampons is indicative of the way our society perceives people in prisons. It is this devaluing of people in prison that allows the living conditions in women’s prisons to continue to be so abysmal, which also has serious consequences on the wellbeing of those in women’s prisons. Overcrowding at both women’s prisons has impeded mental health care access to the point that in 2014, California Institution for Women’s suicide rate was 7.6 times the suicide rate for all people in prison in California and 12.7 times the national suicide rate for women in prison. When people are treated as less than human, it inevitably impacts their mental health. 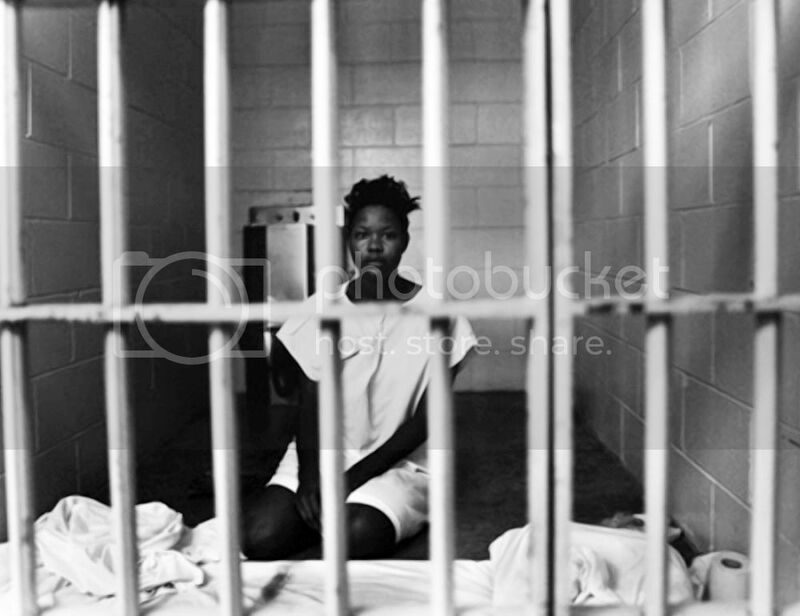 Part of the problem is that we continue to shove people into women’s prisons at an alarming rate. From 1932 till 2003 (approximately 71 years), there were approximately 99,999 admissions into women’s prisons in California. From 2004 to 2012, a period of eight years, California’s women’s prisons had approximately 65, 091 admissions. This drastic increase in the number of people entering California’s women’s prisons highlights a crisis we have yet to address. In order to address these issues it is necessary to tackle them from multiple points. First, the state needs to invest more money and resources into addressing the entry points for incarceration. This includes examining arrest rates and understanding causes of arrest, thereby allowing us to find ways to reduce the number of people entering prisons. A major part of preventing incarceration is investing money into things that strengthen our communities, such as education and healthcare. One solution that could have reaching impacts for women and mothers is repealing the Maximum Family Grant to CalWORKS recipients. CalWORKS is a welfare program that gives monetary aid and other services to eligible families in the state. The grant was introduced in the 1990’s as a way to punish and discourage poor women from having children by denying them additional aide and food stamps, often forcing parents into tough circumstances and criminalized choices simply to feed their families. Another solution is to examine and take action against the school to prison pipeline, which maintains the prison-industrial complex through the criminalization and punishment of Black children from young ages, as shown by multiple studies. Second, we need more sustainable sentence reforms and decarceration strategies in order to reduce the number of people in prisons and to bring people back home to their communities. One example is SB 219, a law Justice Now co-sponsored that would expand the existing alternative custody program, which allows people to go home from prison early. These policies should not only be for those with non-violent, non-serious, non-sexual offenses (also known as “non/non/nons”). Doing so results in a sense of hopelessness and worthlessness for those who are left out and not considered for release as a result of being continually ignored and excluded in policy changes, despite the fact that people with serious or violent offenses "return to prison at a lower rate than [people] with a non-serious/non-violent offense." Finally, we need more programs like our fellowship program that support people coming home from prisons so that they have the resources and community support they need to stay home and out of prison. Justice Now’s fellowship program breaks down employment barriers faced by people recently released from women’s prisons by providing a paid position without paying attention to their conviction. By combining these tactics and by working directly with people in prison we can continue to work together towards sustainable strategies for decarceration and for preventing incarceration. Hanâ is a student in her final year at UCSC majoring in Community Studies and Sociology. She has been an intern with Justice Now in Oakland since May 2015, where she has worked to amplify the voices of people inside women’s prisons. Justice Now partners with people in women's prisons and local communities to build a safe, compassionate world without prisons. We center the lived experience of people directly impacted by the prison system and support the leadership of activists and organizers inside and recently released from women’s prisons. Our work includes direct legal services, medical advocacy, peer education, and policy and media campaigns.